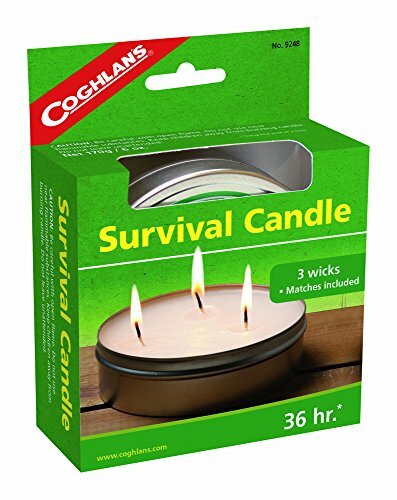 Categories: Camping and Hiking, Emergency Fire Starters, Outdoor Recreation, Safety and Survival, Sports and Outdoors. 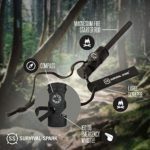 The Survival Sparkl® combines three pieces of essential survival gear into one compact tool. The fire starter kit includes a magnesium fire starter rod, a large striker, a high quality compass, and a 150 DB emergency whistle- all conveniently strung together on a lanyard for safe keeping. 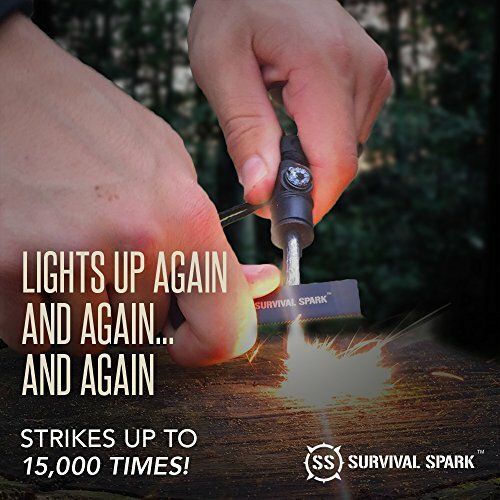 Built to last, our fire starter lights up to 15,000 times, and is an essential for outdoor activities including camping, hiking, fishing, hunting, and as part of your emergency survival supplies. 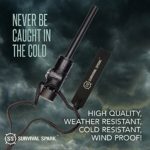 Survival Spark prevents you from ever being caught in the cold as it is weather resistant, cold resistant and windproof. Whether you are lighting a campfire, bonfire, BBQ, or just need a quick flame, the Survival Spark has you covered. 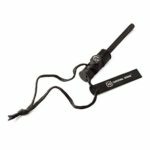 No need to fumble around with matches–simply shave a small amount of magnesium from the rod onto your tinder using the serrated side of the scraper. The amount needed is approximately the size of a US quarter. 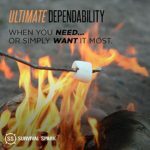 Next, hold the rod at an angle over the pile and forcefully slide your striker along the length of the rod until sparks land directly on the magnesium shavings and ignite the fire. 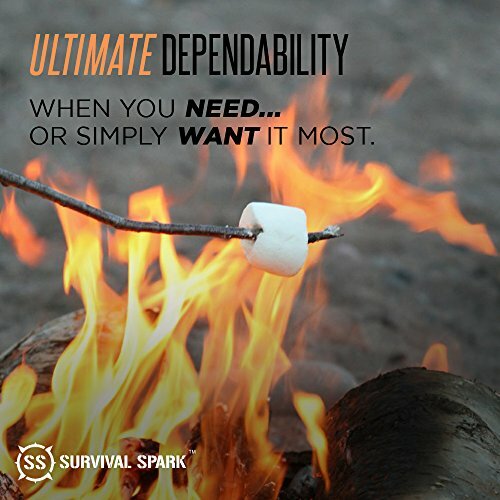 For best results, strip the protective layer of paint from the striker before starting your fire. 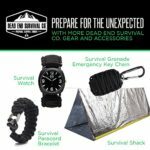 Dead End Survival Co.® manufactures the highest quality survival gear for men and women. 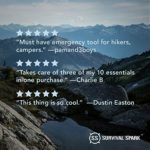 Whether you are hunting, camping, fishing, biking, hiking or just like to be prepared, our gear prepares you for the unexpected. 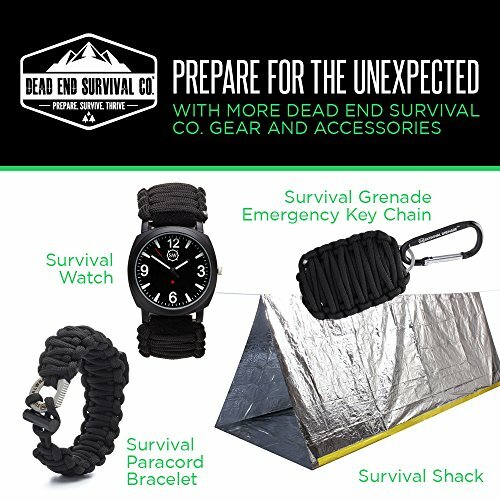 For the ultimate survival bundle, pair the Survival Spark with our Survival Watch, Paracord Bracelet, Grenade Emergency Keychain, and/or Survival Shack. 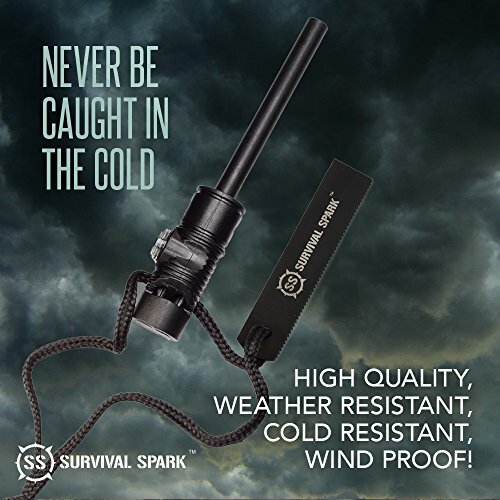 The Survival Spark® is the ultimate survival gear accessory. 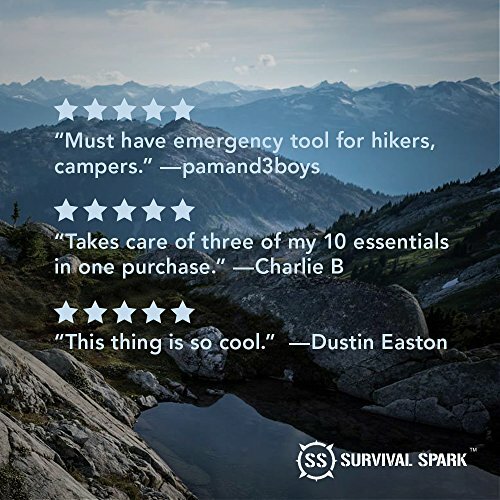 Order yours today and experience the peace of mind that comes with being prepared! CUSTOMERS SAY: Must have emergency tool for campers & hikers! 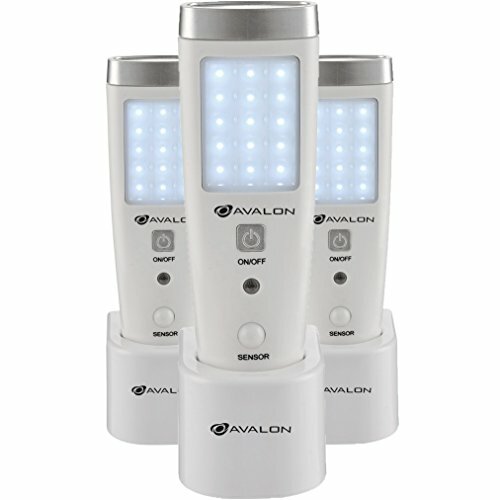 | 3 essentials in one purchase!